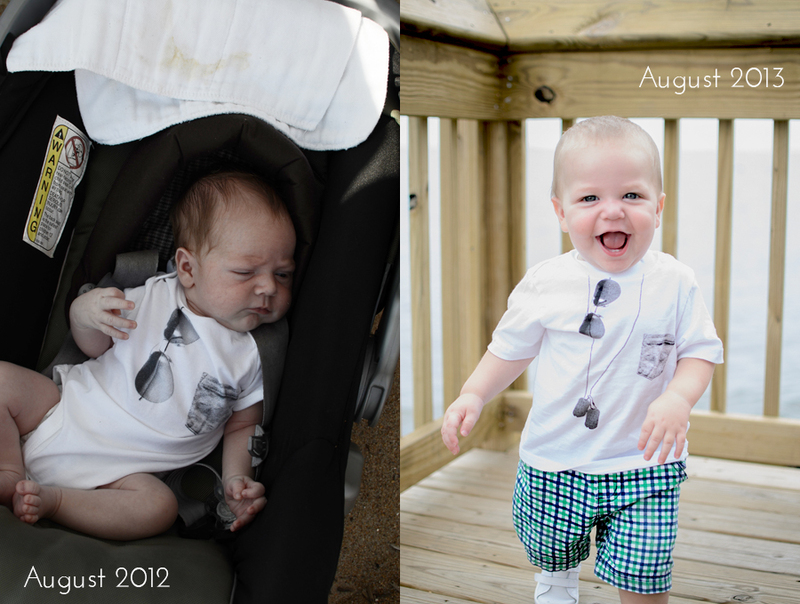 Brody and his shades, one year later. My friend pointed out how cute she thought Brody's shirt was in my last beach pictures post, which made my day because it's a very special shirt. I had found a cute little onesie before he was born at The Children's Place (my favorite!) that I couldn't pass up for his first trip to the beach, which would come just 3 weeks after he was born. Then, just a few weeks ago I was stocking up on some kids clothes at TCP when I came across a t-shirt that was the same style as that original onesie, but in Brody's new size.